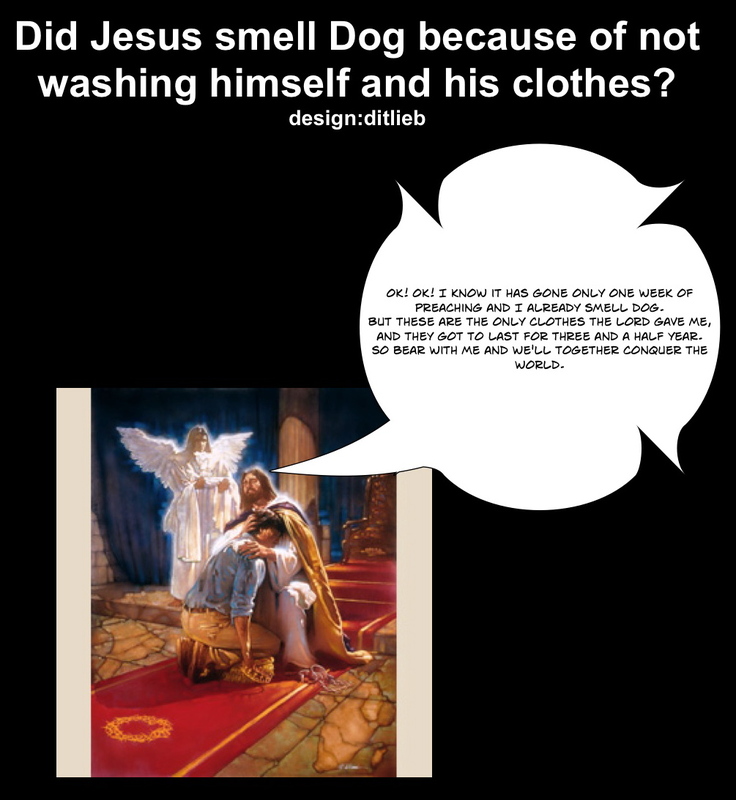 Is this the first audible record of the Holocaust Extortion Cult and its Smell Doctrine? En forskracklig stank fran den underjordiska likbranningsfabriken spreds over hela trakten. 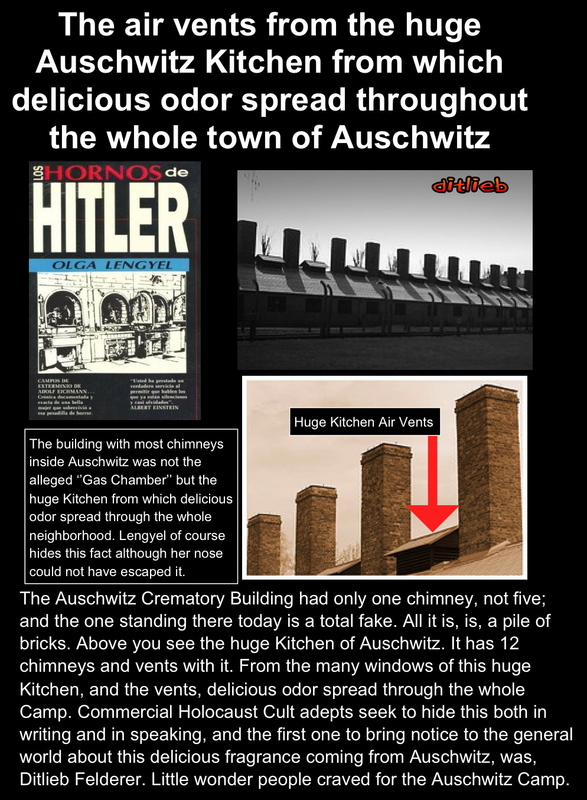 The real smell that did in fact exist at Auschwitz Recreation Sport and Relief Camp was the odor coming from its LARGEST building inside, its super huge kitchen with vents and chimneys. The super Kitchen had 12 vents and 12 chimneys! 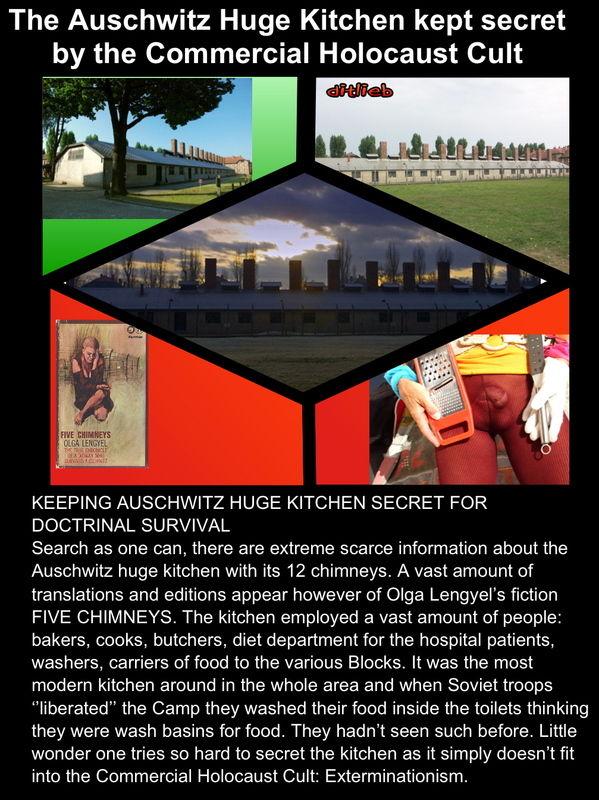 Every morning the Auschwitz town people would smell the delicious odor coming from the massive Kitchen which enveloped the whole area, making people want to get in there. In fact, it was considered an honor to be in there and a place for joy and music where the Jewish Orchestra played the Auschwitz Waltz and other fine pieces of music. Inside also, the Jewish Sonderkommando played their Football against the German SS, right between Block 10 and 11.